Steve Gardner and Jeff Stotts join the guys on BDDR. 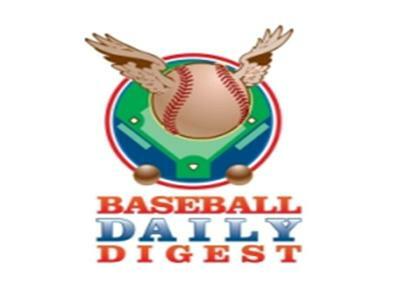 Host Joel Henard from Baseball Daily Digest Radio will sit down with co-host Albert Lang(@h2h_corner) from FP911 and get you up to date on the latest news and notes from around the baseball world. Tonight the guys will be joined by Steve Gardner(sgardnerUSAT) from the USA Today to give us some Spring Training updates. Also in the second half hour of the show Jeff Stotts(@RotowireATC) from Rotowire will drop by to go over who is injured and who is healthy. Join us in the chat room at 7pm on The Fantasy Sports Channel.